Produktinformationen "R&G Wasserdichte Roll-Top Rucksack"
Our stylish Roll-top Rucksack is fully Wasserdichte, extremely durable und very comfortable. This Roll-top Rucksack has lots of room inside und features 2 external pockets (1 at the back, 1 at the front) both with a generous amount of space und secured by high quality zips. This Rucksack is very comfortable und helps to eliminate strain on your back, shoulders und neck thanks to the padded back und straps. The adjustable quick release buckle that wraps around your chest also helps eliminate strain while also securing the bag, keeping it from moving too much. 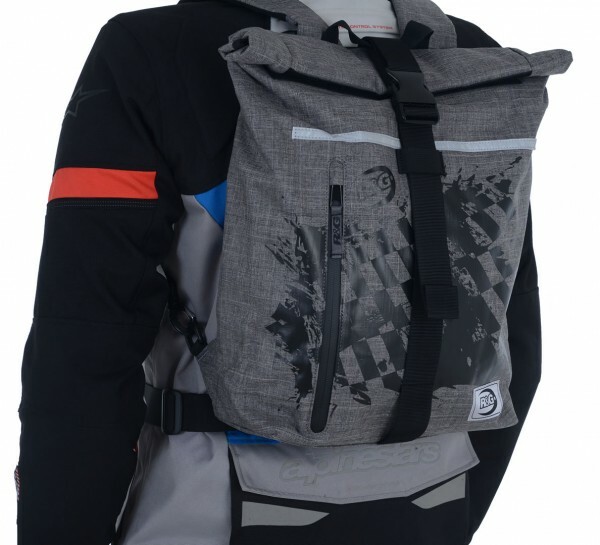 Weiterführende Links zu "R&G Wasserdichte Roll-Top Rucksack"
Kundenbewertungen für "R&G Wasserdichte Roll-Top Rucksack"